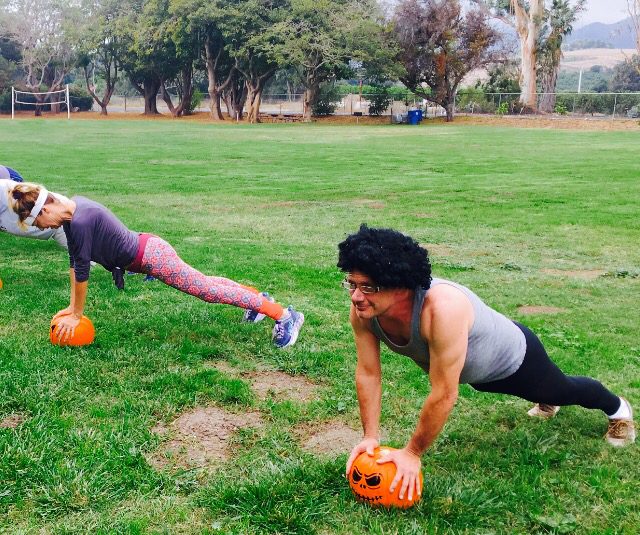 ​The 2017 Annual Pumpkin Workout was an absolutely 'tubular' time! We blasted 80's tunes, played some impromptu music trivia, planked on pumpkins, rocked some seriously radical headbands, did some 80's dancing and had an awesome time! ​Congratulations to Carol and Chris who went all out with their 80's costumes! They put so much effort and detail into their outfits, I had to crown them each the winner of 5 free sessions. Way to go you guys!! I seriously love my Bootcamp and appreciate the fun, loving and supportive environment we've created over the years. I couldn't ask for a better group. They're the BEST!! Until next year...or our next theme workout...the Easter Egg Hunt!